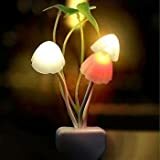 We all are well aware of the low intensity bulbs that are run 24*7 at home around photo frames/ paintings, small temples/ religious area in the home or they may be even used as decorative lights. Some people use these bulbs as night lamps. Some astrologers also believe that using green light night bulb will help children fare well in education. These low intensity incandescent bulbs are called zero watt bulbs. As per the term given to these bulbs, people assume that these bulbs hardly consume power and hence don’t mind keeping them on 24*7. But, do these bulbs actually consume zero watts? Why the name ‘Zero Watt Bulbs’? Zero watt bulbs consume 12-15 watts of power. However, in older days, when all the appliances were turned off and only the zero watt bulb was kept on, the ‘not so sophisticated’ electromagnetic meter could not measure power of such less magnitude. The meter read ‘zero’ power and hence the name zero watt bulb. This misconception led to the unchecked usage of these bulbs. Thus, ‘zero watt bulbs’ were called so not because of zero power consumption, but due to the inability of the older meters to accurately measure their power consumption. How economic are these ‘Zero Watt Bulbs’? Power consumption of zero watt bulb: 15W. Thus, units consumed per year will be (365*15*24)/1000 = 131.4 kWh. Multiply this by the number of bulbs used and you will realise that these bulbs may not be as economic as you may have assumed them to be. In Kerala, there was an estimation that there are around 8lakh ‘zero watt bulb’ used by the state people. Since each of these bulbs consume 12-15 watts of power, the power consumption of the state increased by 9 Mega Watts (9*10,00,000 Watts). This proves that even though these bulbs consume negligible power, their unchecked use sums up to a huge power consumption or power wastage. Zero Watt Bulbs used as Night lamps: Are they safe? Light at Night (particularly falling on the retina) is one of the reasons for lack of proper sleep and other adverse health effects. According to Stephen Lockley, a Harward sleep researcher, dim lights of mere eight lux level (brightness exceeded by most table lamps and double that of a night light) can interfere with melatonin production. Melatonin is a hormone that is secreted and produced only at night. Melatonin is essential to the regulation of reproduction, body weight, and energy balance. It is also necessary for the synchronization of sleep and circadian rhythms. Also, it used to suppress the growth of cancerous tumors. Exposure to even dim lights affects the production of melatonin. To add to it, research shows that blue light has the most harmful effect with respect to the above case. 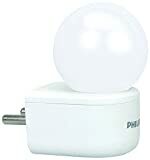 For small children afraid of darkness, a red night light should be used as it has least effect on melatonin production as compared to blue or white night lamps. If you are still interested in going for zero watt bulbs, then there are several LED alternatives available in market these days. These LED alternatives consume just 1 W of power as compared to 15 W of the “Zero Watt” bulbs. Depending on the type, they cost between Rs 75 to Rs 150 a piece, and 14 W of saving can help recover the cost quickly. And LEDs being long lasting will keep it going for years. 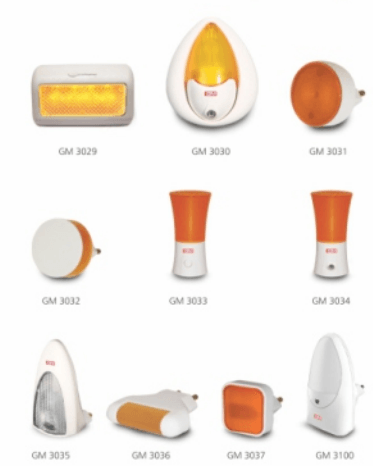 GM which is one of the popular brands has many models as shown below. 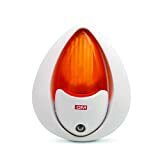 Some of them also have a auto-sensing feature that makes it switch off the bulb automatically when there is enough light in the room and switch on when it is dark. Considering the above effects of Zero watt bulb, we recommend following tips to ensure savings: in terms of energy, money and health. Replace the existing zero watt bulbs with 1W LED lights. They are more efficient than zero watt bulbs and produce almost the same amount of light. Thus, power consumption reduces from 15W to 1W, which in turn leads to increased savings on electricity bill. Avoid the use of zero watt bulbs as night lamps. If required, red LED night lights should be used since they are least harmful and again, consume less energy. Ensure that the existing zero watt bulbs are not kept on unnecessarily and put them off if not required because at the end “tiny drops make a mighty ocean’.